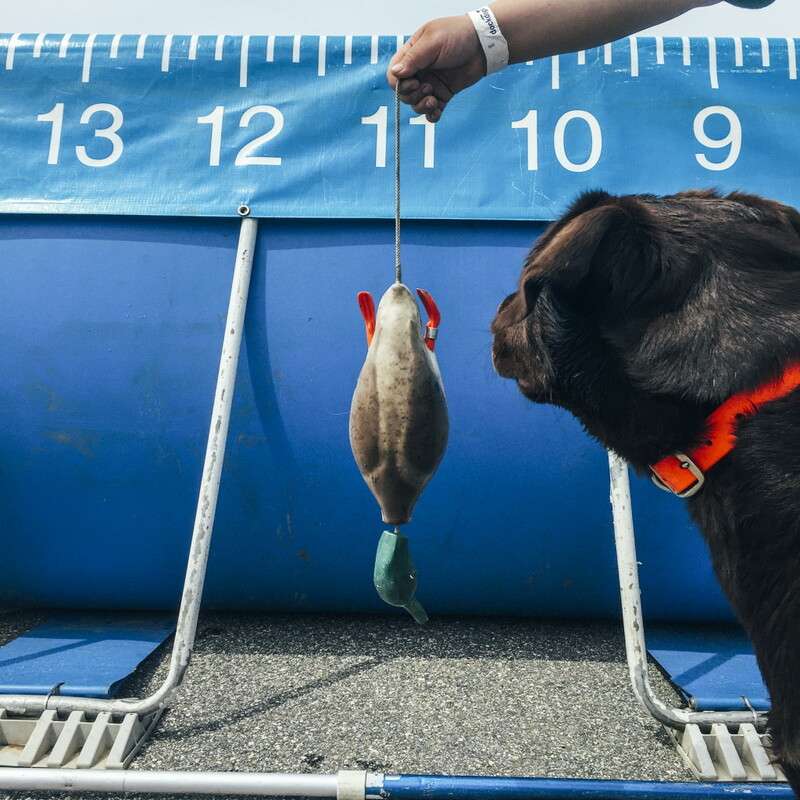 About 100 dogs are competing in a competition that ends Sunday to determine which can dive the farthest and highest and retrieve the fastest. 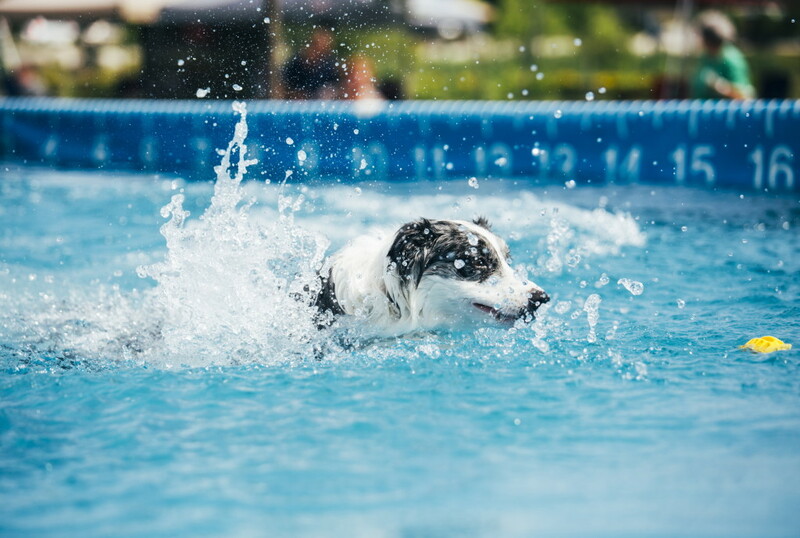 SCARBOROUGH — A dog catapulting from a dock across the water in a 40-foot pool to fetch a toy can be mesmerizing. 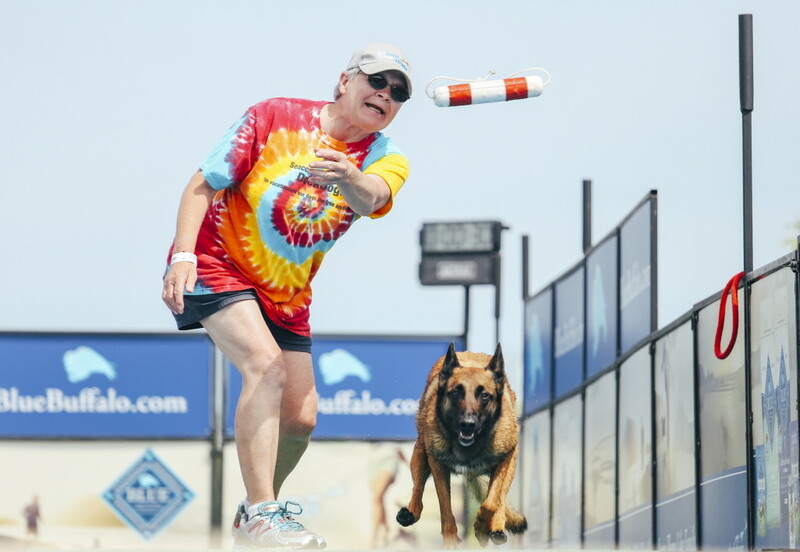 Which may explain why hundreds of people showed up Saturday to watch about 100 dogs from across New England and New York compete in the DockDogs National Sportsmen Series hosted by Pet Life outside its store in Scarborough. 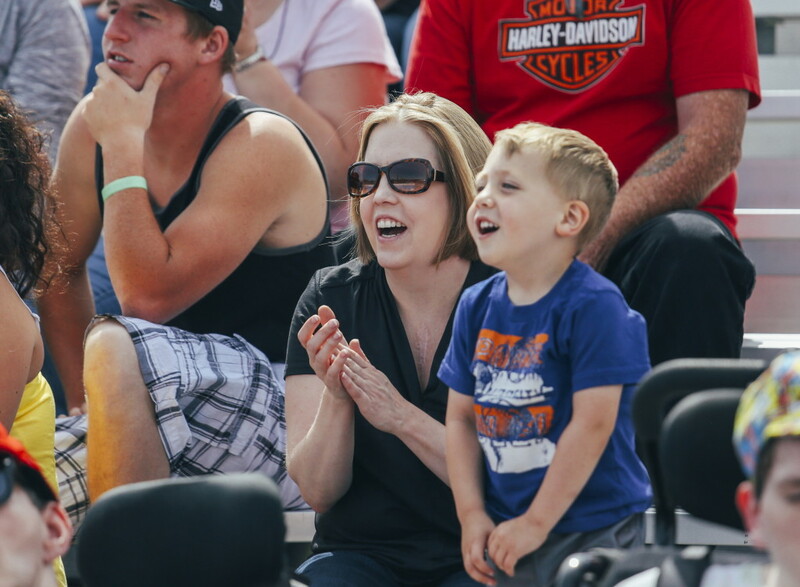 The three-day event, which started Friday, continued Saturday until after 6 p.m. and starts again at 10 a.m. Sunday. The event is free to attend and features exhibits by local animal rescue groups, dog wading pools and a free barbecue. 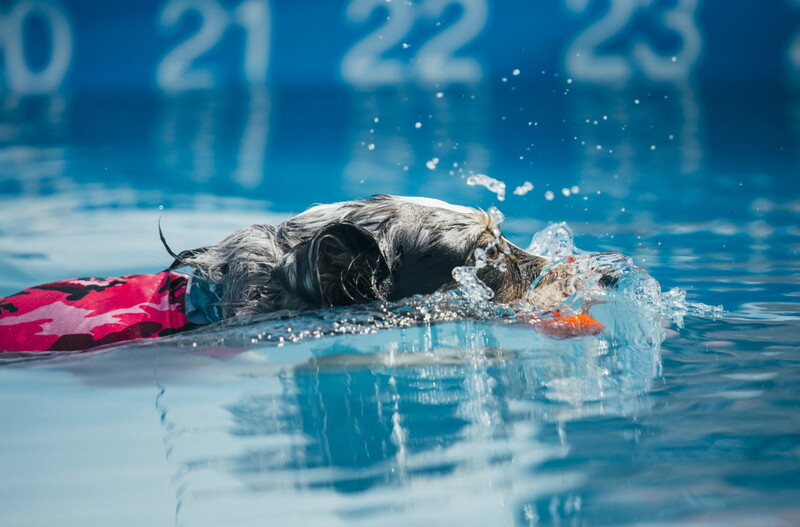 The competition is a qualifier event for the DockDogs 2015 World Championships in Dubuque, Iowa, in November. It’s held to see which dog can jump the farthest and highest and retrieve the fastest. 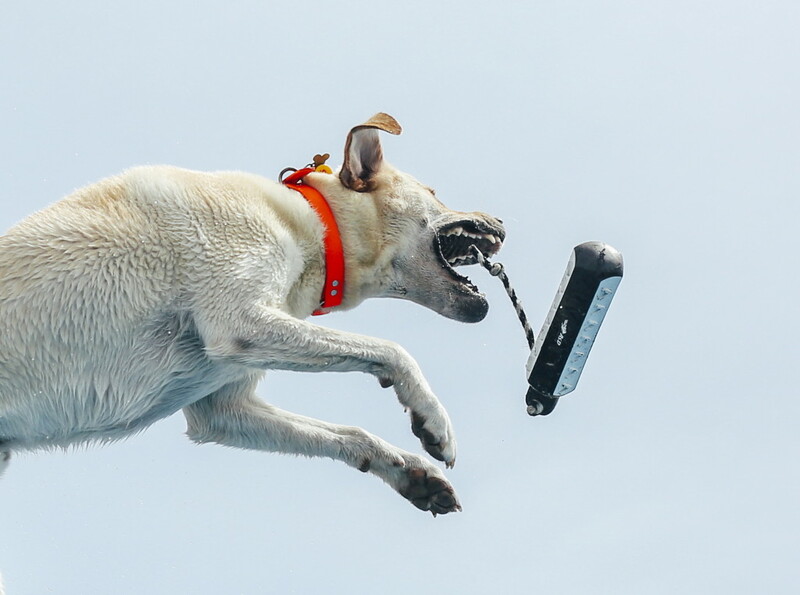 The dives are recorded on camera in slow motion from the edge of the dock to where the base of the dog’s tail hits the water. The winners receive medals and $100 for a first place, $50 for a second place and $25 for third place. “But it is mainly the glory,” said Stephanie Cook, event administrator. 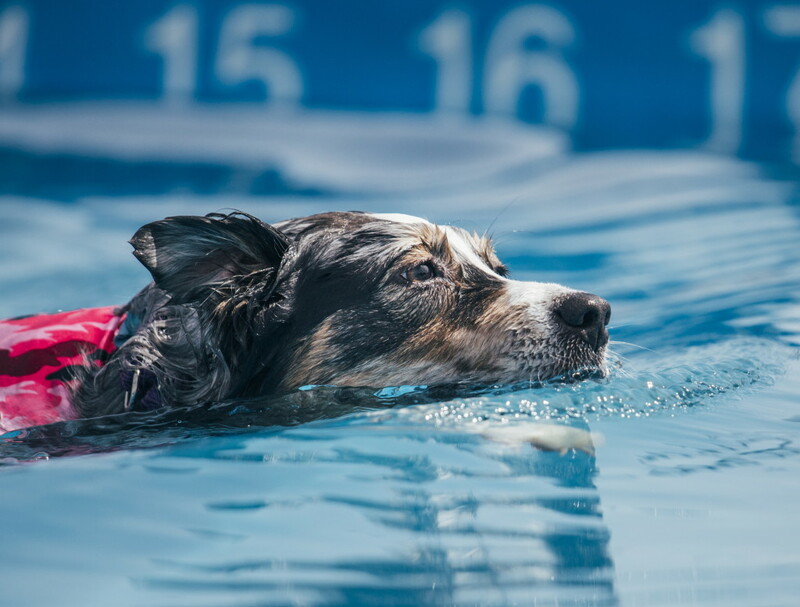 DockDogs is one of more than a half-dozen dock-diving organizations that have cropped up worldwide since the sport was invented in the late 1990s. 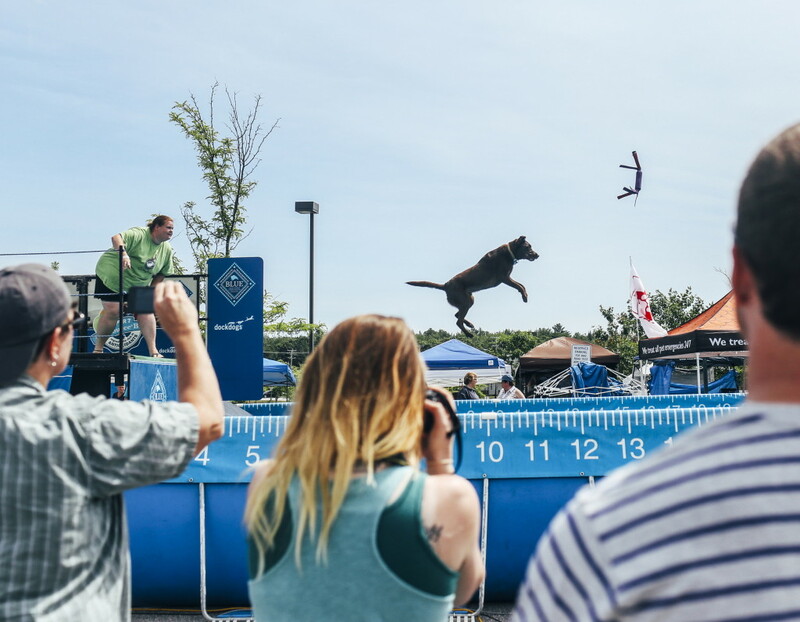 The DockDogs record for longest dive is 31 feet, and other dock-diving organizations have similar records. Seacoast Dock Dogs in Berwick, a DockDogs affiliate club, maintains a 40-foot pool where members and their dogs can practice the art of jumping off a dock in a mad dash to retrieve a ball or other object. “It’s a great way to bond with your dog,” said Kevin Belanger, club treasurer. The club has 50 members, some of whom compete. Belanger said the sport can be addictive. He travels the competition circuit with his yellow Labrador retriever, Sampson, 7, who made it to the 2014 World Championships. The competitions are open to any dog. 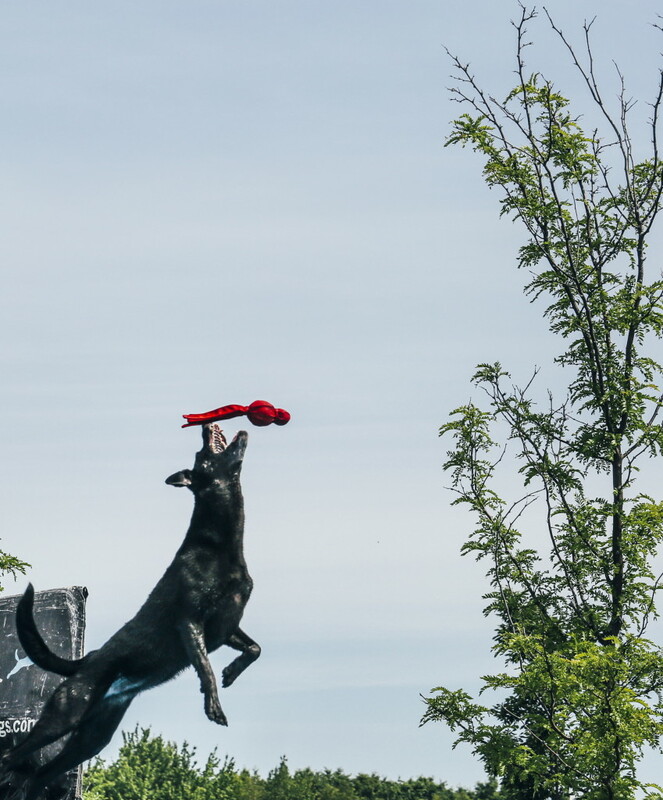 While mixed breeds, border collies, German shepherds and pit bull terriers were in evidence Saturday, Labrador retrievers appeared to be the breed of choice. 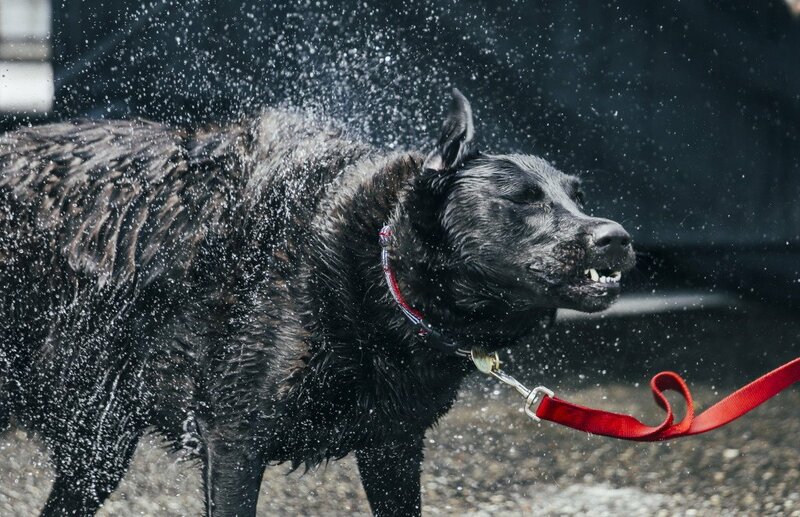 Most of the dogs hurtle themselves into the water, but a few are reluctant jumpers. Rules require all dogs to enter the water willingly. Pushing is not allowed. Barbara Browd traveled from Pawleys Island, South Carolina, to enter her yellow Lab, Callie, 5, in the competition. “We do this up and down the coast,” Browd said. Laura Holena of Laflin, Pennsylvania, was competing with her team of four chocolate Labs, Kona, 10, Java, 5, Nico, 3, and Dunkin, 1. 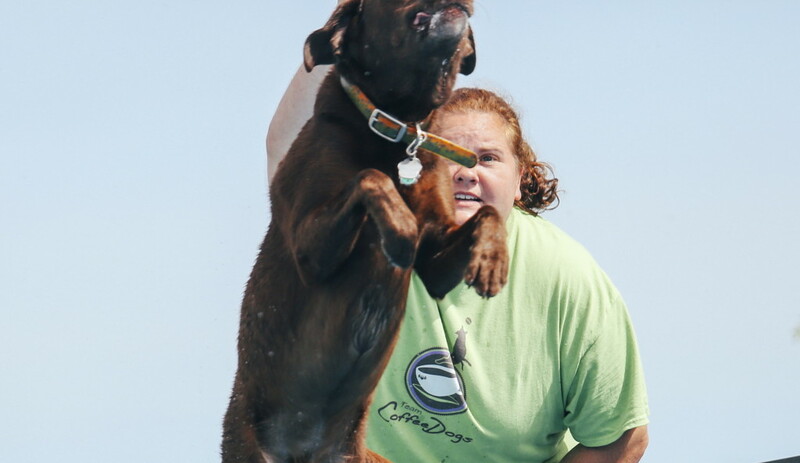 Linda Hawkes of Falmouth was competing with her son’s German shepherd, Zoe, 1½, who took her first plunge in a competition Friday. She jumped 8.5 feet. “It is really fun. And for her it is a whole new environment,” Hawkes said.